Immigration, Refugees and citizenship Canada (IRCC) has released two express entry draws this month. First express entry draw was held on June 13, 2018 in which the cut off comprehensive ranking system score was 451 and the second express entry draw that took place on June25, 2018 with comprehensive ranking system score was 442. 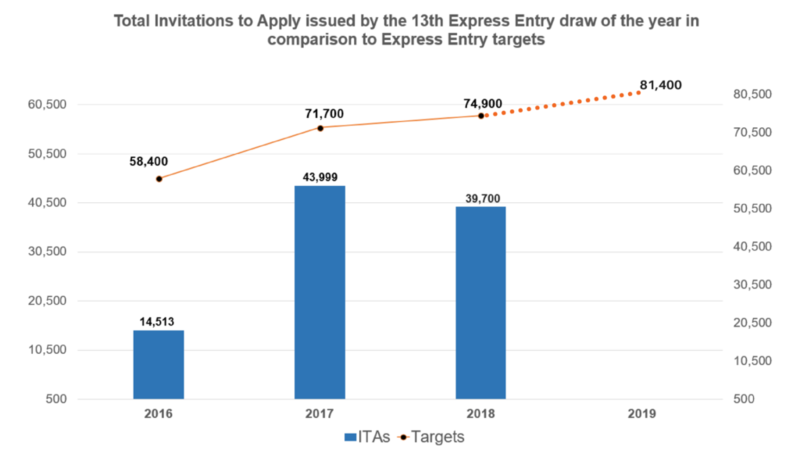 Total 3,750 invitations to apply or ITAs were issued by Immigration, Refugees and citizenship Canada (IRCC) to those candidates whose score was equal or more than the minimum comprehensive ranking system score in each express entry draw respectively. Thus in total 7,500 invitations to apply or ITAs have been issued so far in the month of June by Immigration, Refugees and citizenship Canada (IRCC) for Canadian permanent residence. This is the largest number of invitations to apply for Canadian permanent residence in year 2018. 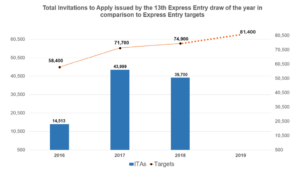 The number of invitations to apply or ITAs in express entry draw program of 2018 is gradually increasing in year 2018. 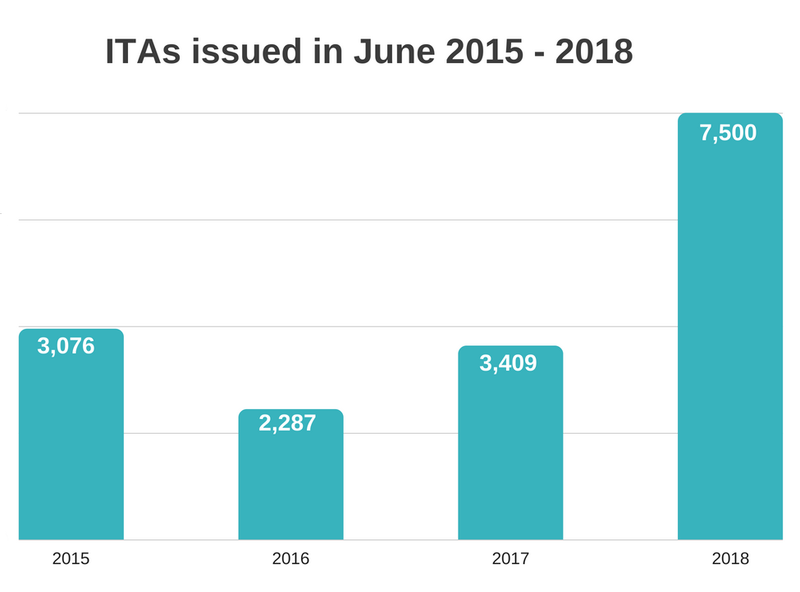 Clearly, number invitations to apply or ITAs issued in June 2018 is highest as compared to previous years.This gradual increase in number invitations to apply or ITAs will increase the total number of number invitations to apply or ITAs in year 2018. 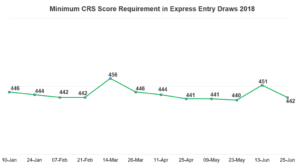 Also, Comprehensive ranking system score (CRS) unexpectedly dropped in March also from 456 to 446. 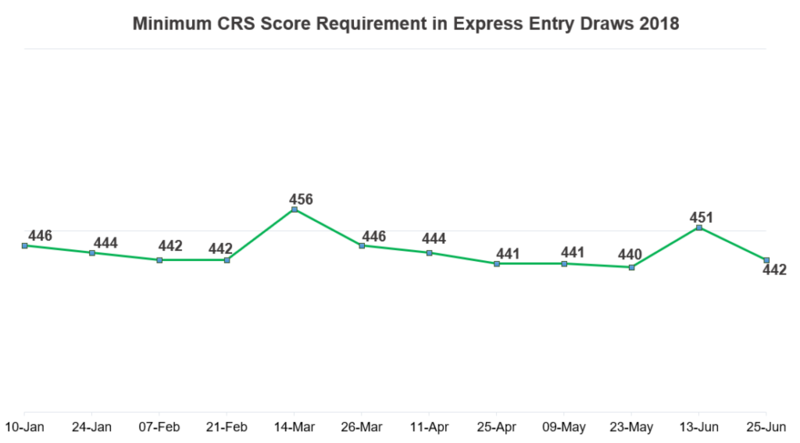 Similarly, in just 11 days the cut off comprehensive ranking system score (CRS) dropped from 451 to 442.